Aphu was a young man in his twenties when he passed away. In the hinterland of India’s largest tiger reserve, few people keep track of their age, for nobody here registers them for social welfare, nor do they have a doctor who asks them their age to fill up a column on a case sheet. Aphu’s home was in Gandhigram, a remote tribal village in the state of Arunachal Pradesh in North-east India, where he lived a little more than 20 years. His village is surrounded on one side by one of India’s largest tiger reserves, Namdapha Tiger Reserve, and on the other are vast stretches of Myanmar’s Hukawng Valley Tiger Reserve, perhaps the world’s largest protected area spanning close to 6000 square kilometers. Late last year, Aphu died. A healthy young man, he was among the people hired to carry luggage and supplies for a group of people. We were visiting the village to see how we could address their health care needs. Cystic fibrosis did not dry up his lungs. Neither was it any of those eponymous autosomal diseases that strike the young, of which we learn so much in medical school. These diseases were very interesting, with articles about them in journals describing correlations to genes with numbers like the latest version of MS Windows. They all had their “Disability adjusted Life Years”(DALYs) that were screaming out their importance to be taken up in any of the new programs that the State might decide to launch. But, these rare and publishable afflictions were not among those that Aphu was ever afflicted with. He died, quite simply, of malaria. Quite ironic, that a country with nuclear power still has anaemic mothers and malaria deaths! I have been to Aphu’s village a few times with the wildlife scientists who work here. His village happens to be surrounded by one of the northernmost primary rainforests in the world. The place teems with biodiversity and the forests of Arunachal Pradesh have witnessed descriptions of a new species of bird and even a new primate, all in the past few years. 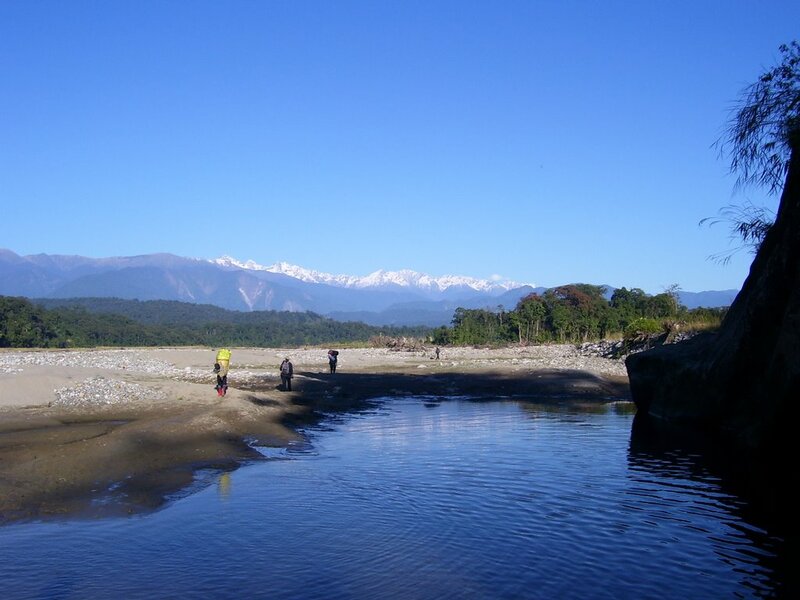 Although, it is the tiger that has given this area its protected status, it is not for the tiger that this national park and many of the forests in Arunachal Pradesh are known. They are famous for their rich biodiversity including several endemic insects, butterflies, birds and plants. Such rainforests play a central role in wildlife conservation and climate change. However, climate change and global warming are distant issues for the Lisu and other tribal people living in and around these forests. Strangely, tigers aren’t. In India today, there is a public debate on tiger deaths. Tigers and tribal people are being pitted against each other in conferences and in hallowed policy-making chambers. Co-existence of tigers and tribals is being questioned. In an environment where health care is financed literally out of people’s pockets, a tiger’s fate and people’s health can get intertwined easily. And hunting becomes a means of averting any unplanned and sudden catastrophic expenditure. It is invariably health costs that crop up in the category of unforeseen expenses. With poor access to primary health care or even to community health workers, people in such remote regions often find that hunting can finance their long journeys to towns. And it does not help matters that private providers with expensive secondary level care and irrational practices become the first line health providers for these people. The Lisus travel through about 150 km of thick forests interspersed with rivers often in spate, to reach ‘civilization’. From here, they take a 6 hour bus journey to reach a town where they invariably see a private provider. Roads, understandably are a bigger concern than chloroquine. I work in an NGO in South India, with another indigenous tribal people, called the Soligas. The forests have shrunken around the Soligas, leaving a 540 sq. km area, still remaining, due to its legal protection by the State. The Soligas were semi-nomadic people, until they were forced to settle due in part to the shrinking forests and the legal protection accorded to their forests. They couldn’t hunt anymore. However, a doctor who settled in these hills 25 years ago, began to provide health care to them. He went further to education and livelihood, as just providing health care was helping their health! This NGO today provides health care, education and livelihood to these tribal people. Today, the elderly Soligas talk about how climate has changed. They do not question it and do not need evidence. They know it and also see how their forests are getting choked from the outside. These two glaring examples from South India and Arunachal Pradesh in North-east India typify the problems faced by people living in and around forests in India. However, the key is in access to basic health care and livelihoods. Wildlife scientists today see this connection between people’s basic needs and their conservation ethic. In fact, it was a group of wildlife biologists that started a community health care program and an education initiative among the Lisus. I went there to train a group of tribal youth in basic health care. Among other things, I wanted these youth to be able to identify and institute treatment against malaria. It was indeed a satisfying experience for me, to see how wildlife biologists had looked beyond their paradigm of biodiversity conservation, and had looked for solutions outside ‘their box’. We, in health care, sadly are yet to make this connection. A glance at our curricula reveals the level of medicalisation that we undergo. A glance at our policy shows how fragmented and restricted it is. people and those living or affected by forests. It would be presumptuous to imagine that national programs for any of the diseases will change the situation with these people. Lisus or Soligas and for that matter any individual is not asking for malaria control programs or early cancer detection programs. They are asking for plain health care – financial and physical access to a person who can cure them of their illness and can help them live a healthier life. A malaria program for them is even lower in priority than a road or a source of livelihood, simply because, they have accepted malaria deaths as their destiny. It is perhaps time to think beyond programs and address health as a need in itself rather than health as a consequence of our programs. Aphu died of malaria in his early 20s only because he was born in a place where climate change and the biodiversity mattered more than his life. In many areas the world over, where man-wildlife conflicts occur, the situation is similar. How are we going to prioritize between biodiversity conservation and people’s needs? Are our politicians and policy-makers even seeing this problem of ‘First among equals’? The global health research agenda needs to gear up to answer these difficult questions; questions that matter to people dying of malaria in this age, when in many countries, research is addressing carpal tunnel syndrome. I have just returned to Itanagar from Jenging, Upper Siang dt. I camped here for 2 days and visited one of the sub-centres of the PHC at Jenging. Most of the journey by vehicle and on foot to the sub-centre were spent birding. to Jenging and the other leading to the district HQ of Yingkyong. Incidentally, Yingkyong was fully submerged by the Siang in 2000 when a mining related mishap on the banks of Siang upstream in China caused ‘welling up’ of water, which later burst to deluge some large towns downstream. The whole town was submerged then. The drive thereafter offers wonderful views of the Mouling National Park. The hills here lack the classic ‘jhum’ facies of the other hills I have been seeing till now. Bird calls were heard more frequently, and number of bird sightings (not on heads, but in the air!) were more. Also, this being an area with a majority of Adi tribal population, the ‘hornbills on the heads’ was not a feature. Unfortunately, I did not see any in the air either! The road has been taken up by the Border Roads Organisation (BRO) and is in all-weather condition. Moreover, Jenging being the constituency of the Chief Minister himself seems to be well-served. The town also enjoys 24 hr power from the hydel project nearby. Weather conditions were more or less cloudy all through and bird sightings were a precious few. One of the subcentres, I visited is within the Mouling NP (28° 33′ N, 94° 46′ E). It was declared so in 1986 and covers nearly 500 sq. km. Most of the habitat was wet evergreen and semi-evergreen hill forests with many patches of secondary growth. Most of the hills were covered cloud covered, and fast flowing hill streams draining into the Siang were a common feature. 21) Little Forktail scouleri – Was thrilled to see this bird. higher perch, when I disturbed it from the bottom of a small stream. for the Beautiful Nuthatch Sitta formosa. No luck till now. 30) White Wagtail M. alba leucopsis & one of the grey-backed races (? north-east. 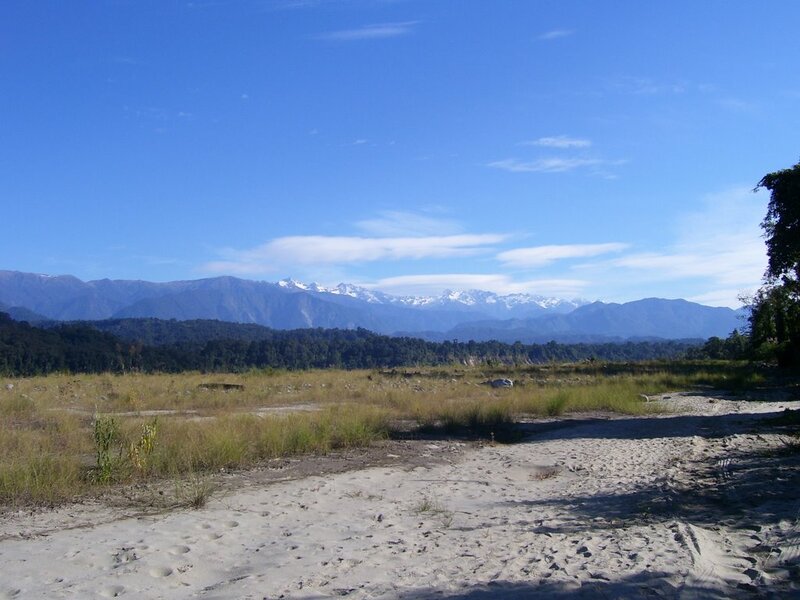 The transition from the plains of Assam to the hills of Arunachal is quite drastic if one travels on road. The demarcation between these two states is both physiographic and ethnic. While Assam suffers from very regular bandhs, strikes and ‘chakka jaams’, Arunachal is mostly peaceful. However, most of travel between towns in Arunachal happens through Assam and all strikes there have an effect on movement here. Most of the roads that have been constructed are of excellet quality, having been constructed by the Border Roads Organisation. Also, the districts on China border are being connected by good roads for strategic reasons. People here strike one as very fiercely independent. Tribal identity is very strong, and people are proud of their tribe and community. The entry of outsiders is allowed only after obtaining at Inner line permit. This can be obtained at Guwahati and the document is to be produced while entering Arunachal. It feels almost like crossing a border. I guess Nepal must be easier to get into. However, this one concept has probably preserved the identity and culture and has limited interventions from outside. At the same time however, there is no private player in any sector – telecom, insurance, banking – and this slows down everything here. But, what disturbs me most is the emptiness of the forests here. Thick verdant forests clothe the hills…..on entering them, one is hit by their emptiness. Also, most of what is seen outside of protected areas is secondary growth of bamboo and banana. Of course, there are still large stretches of ‘pristine’ jungle at many places. But, seeing jhum to such a large extent is definitely disturbing to an outsider. Since reports from this part of the country are few, I thought I will share whatever little I have been seeing. I have tried to make up for the low number of bird sightings by sharing some info about the places! HQ of Koloriang. The PHC at Sangram which I visited is located on the tip of a cliff overlooking the valley of the river Kurung. The Buzzard was gliding above the hills on the other side of the river, and ‘hovered’ for a few seconds, much like a Kestrel. Grey-cheeked Warblers (Siecircus poliogenys) were quite a few around the PHC. I have seen countless hornbills till now – on people’s heads!! The Nyishi tribal elders wear a hat which is decorated with the ‘casque’ of the hornbill. It even has a feather or two – either of hornbills or the racquets of the racquet tailed drongo. Almost all the tribals carry a ‘dao’. It is kept in a bamboo case, which is hung around the trunk in a belt made of bear hide. Youth carrying air guns for hunting were also frequently seen. Forktails (Slaty backed and black backed) and Blue whistling thrushes were common near hill streams. On the whole, I am travelling a lot. I have visited 2 districts. I am leaving for Jenging which is in Upper Siang district and within Mouling WLS and will proceed to Roing in Lower Dibang Valley district.